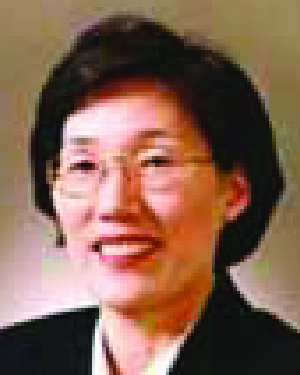 Dr. Hyeoun-Ae Park is a distinguished alumna of the College of Nursing and the School of Public Health at the University of Minnesota, where she earned a master's degree in nursing in 1983 and her master's in Biometry and Health Information Systems in 1986 followed by her Ph.D. in 1987. In 1995 she returned to Minnesota for one year as a post-doctoral fellow. Dr. Park has played a major role in linking the College of Nursing at Seoul National University (SNU) with the U of M's School of Nursing. Dr. Park has also organized summer exchange programs with Minnesota and has made a particular effort to invite and welcome University of Minnesota alumni to international conferences. For the past twelve years, Dr. Park has served as a distinguished faculty member of the College of Nursing at SNU. Her expertise in informatics and statistics has been a great benefit not only to the school but the entire Korean nursing community. She introduced the first statistical consulting lab and computer lab in a Korean nursing school. These innovations revolutionized nursing education and led to Dr. Park establishing the first nursing informatics major in graduate studies in Korea. On her return to Korea in 1987, as one of the few Korean nurses with a Ph.D., she was asked to work with the Korean Institute of Health and Social Affairs to further research regarding national healthcare systems. Her work resulted in the adoption of national guidelines for healthcare manpower planning. She also introduced information technology to the nationwide emergency call system dispatch and the public health center systems. Dr. Park is currently chair of the Technical Advisory Group of the Korean Health Informatics Standards Agency and has represented Korea internationally as a member of the International Council of Nurses as well as the International Medical Informatics Association. In 2006, she will chair the Ninth International Nursing Informatics Conference in Korea. In naming Dr. Park a recipient of the Distinguished Leadership Award for Internationals, the selection committee honored her contributions to informatics education, research, and practice for nursing, for her university's healthcare professional programs, for her country's health professions, and for the international community of nursing and research informatics.